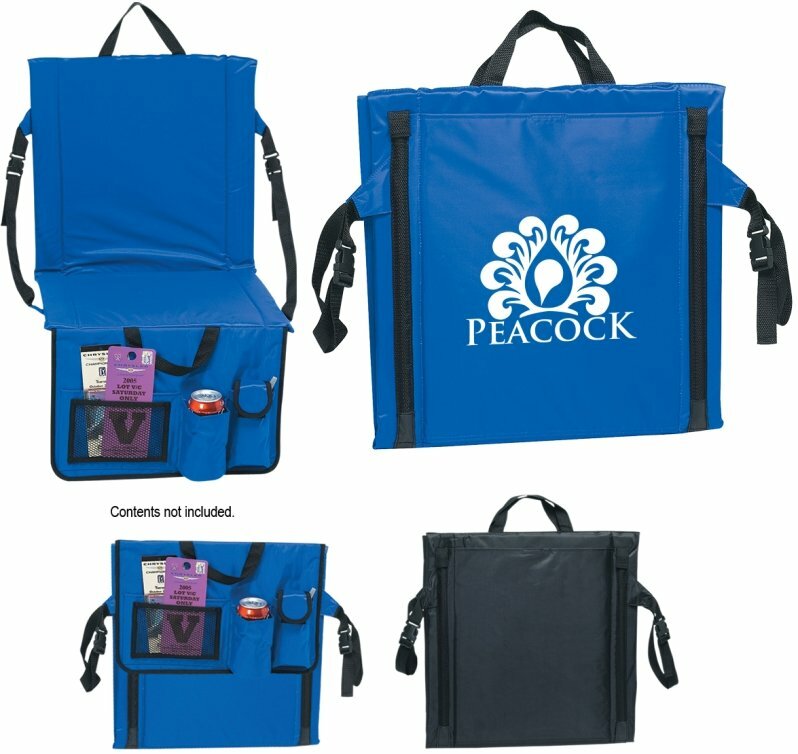 Get your logo printed on Best Custom Stadium Seat Cushions. Apps sports events, resorts, college & promotional products. with web carry handle and a extra large backside pocket. Front organizer pocket for cell, cans & personal items. Overall closed size is 17" w x 17" h. Bulk packaged.